A new 10MWp photovoltaic power plant is being accrued near the town Köthen in the district of Anhalt-Bitterfeld. Since July 2014 frame posts have been rammed and drilled into an area of ca. 15 ha in Osternienburg in order to hold almost 40,000 solar modules of type RISEN SYP250P. In future the current conversion will happen via 332 string inverters from the Chinese brand HUAWEI. With a local solar insolation result of 1,195 kWh/m2 per year the general transferring firm GREEN ENERGY 3000 GmbH expects an annual energy yield up to 10 million kWh. This amount would cover the electricity consumption of 2,800 single-family houses. By the end of July the ramming work should have been finished in time – so that one can start to hang up the solar modules. The commissioning of the plant according to the conditions of the renewable-energy law (EEG) is planned for the end of August. 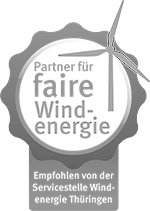 The project Osternienburg is the first one in the portfolio of Green Energy 3000 which produced power will be merchandised directly. This is based on the fundamentally revised renewable-energy law from August 1st 2014, which forces the owners of such renewable-energy plants to put right on the market.